Letterpress is a relief printing process in which a print surface is pressed against a piece of paper to create the print and impression. Traditionally letterpress printers went to great lengths to ensure their prints showed no impression and that the paper only 'kissed' the surface of the plate. In todays digital world, we treasure the tactile impression effect created when a sheet of soft paper is pressed against the print surface. It is this impression that gives the print its authenticity, drawing attention to the process that created it. 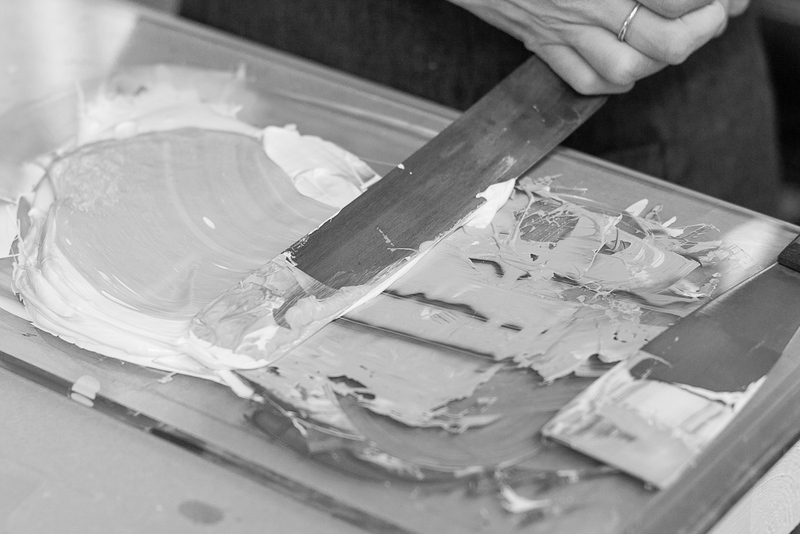 Unlike digital printing, in letterpress printing inks are liquid, hand-mixed and applied to the press one at a time. Hot foil printing uses the same printing equipment as letterpress, except the liquid ink is replaced with rolls of foil. Foil is usually thin metallic film backed with an adhesive. Hot foil requires heat to adhere the foil to the paper, so the plates must be metal in order to withstand the heat process. 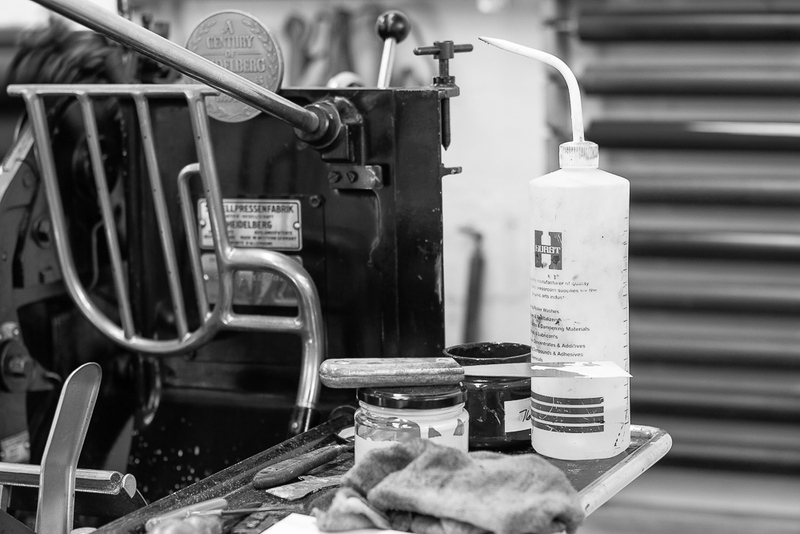 Letterpress is a slow and time consuming print method that requires a high level of skill. 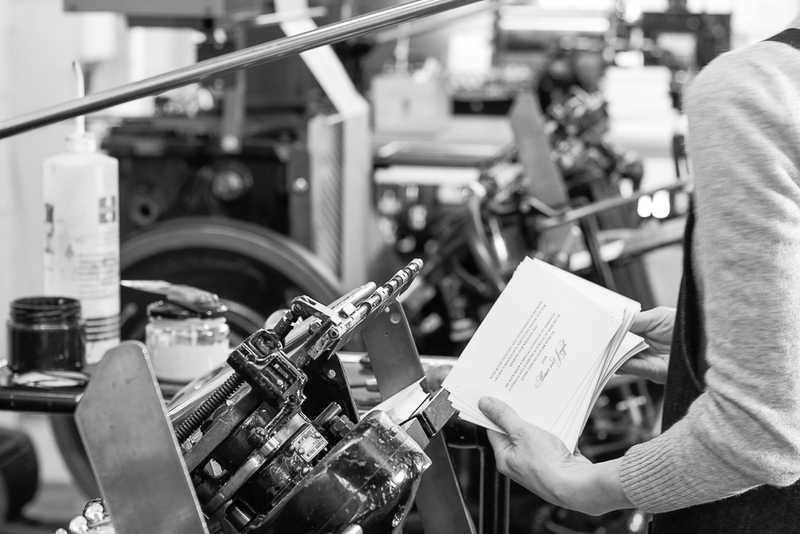 We approach it like fine art printing - great care is taken to prepare for each print run. 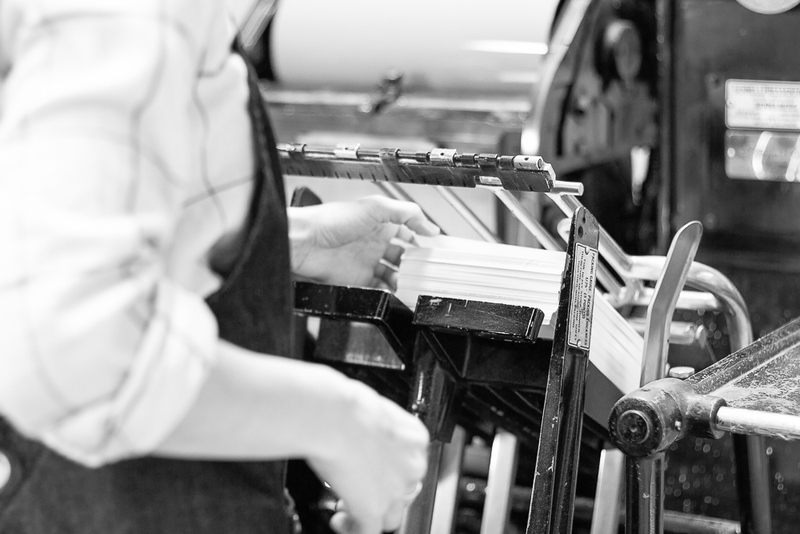 Commercially letterpress printing has largely been abandoned due to cost and time - however it is the perfect process for printing unique pieces such as wedding invitations which are treasured forever. 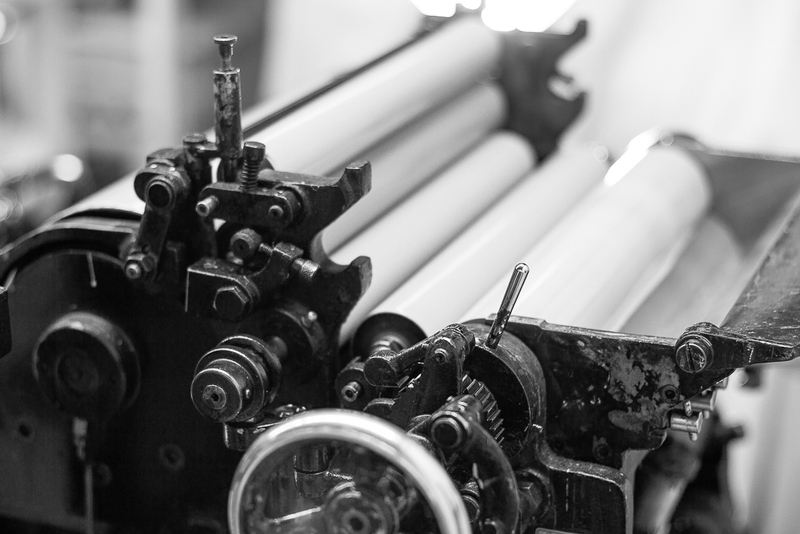 We print all of our stationery in house using traditional letterpress equipment. This means we are in control of quality from start to finish. 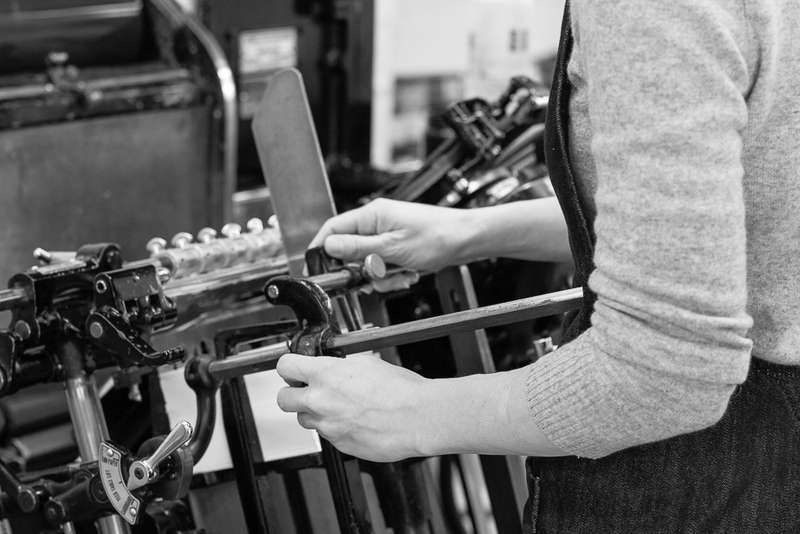 Our workshop is home to three Heidelberg T-Platen presses. They are known as 'clam shell' or jobbing-style presses. This means to create an impression, two surfaces come together - one surface holds the printing plate, and the 'platen' provides the pressure to create the print. German built and made in an era when quality mattered, these presses have been printing for over fifty years (each!). They are entirely mechanical with numerous levers, knobs and oiling points that keep them running smoothly. All have a wonderful patina developed over the years and their own unique swooshing sounds as they open and close. 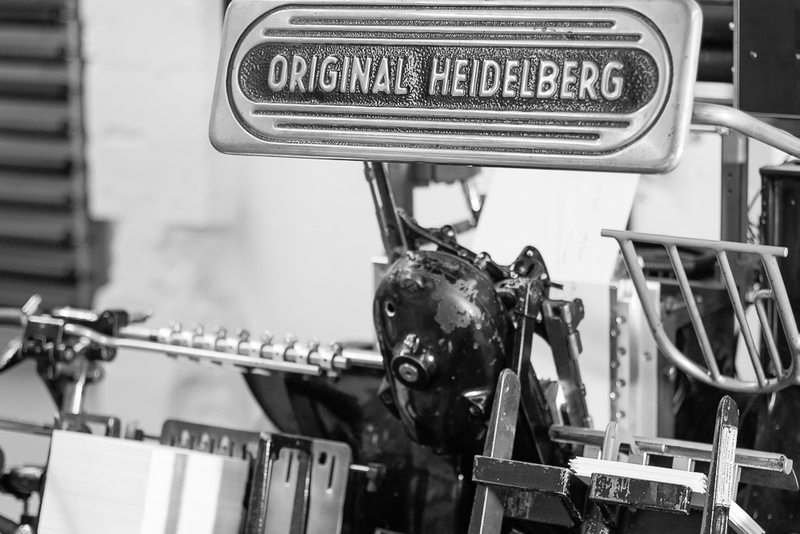 Our Heidelberg hot foil printing press. 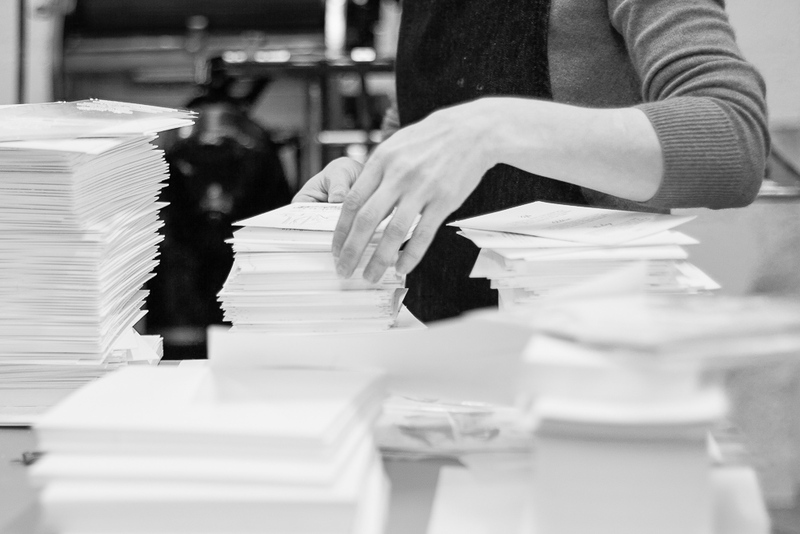 On our presses we print, die cut and score all of our stationery. 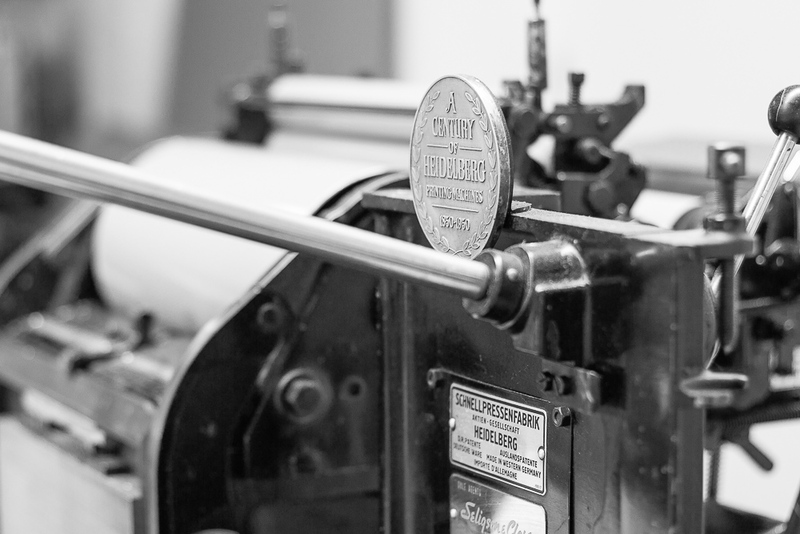 When you order with us your pieces will be printed one or all of these presses with great care and attention to detail. Mixing letterpress ink for printing. Essential letterpress tools and materials. Running and checking prints on our Heidelberg platen press. Our Heidelberg printing press inked up for printing. Setting up the paper tray and making adjustments to ensure perfect paper pickup. Checking prints coming off the press for registration and consistency. Piles of paper ready for printing.